All done and so tasty! Cooking for One Caveat: I told you that I’ll talk about how I manage cooking for one in a world that is not structured for single cooking. One such example are that multi-pound package of meat at the grocery store. Perhaps a family of 4 – 6 needs 2.33 lbs of chicken breast tenders…This single gal can’t even fathom using that much chicken in one dish. So here’s what I do. I buy the 2.33 lb package of chicken, or say, the 1.45 lb package of beef chunks, bring it home and within 24 hrs repackage the whole lot of it into single serve units. I’ll clean the chicken tenders, rinse the meat, and portion it out amongst (usually) 3 or 4 sheets of saran wrap. I try to portion equitably – but I just eyeball it. Then I wrap it up tiiiight, weigh it, write it on the saran wrap in permanent marker, and toss the single serve units into a freezer zip-top bag. Into the freezer they go and then I have a bag of meat, perfectly portioned for one. I will put roughly 3 chicken tenders per unit. Eyeball even beef chunk distribution. A package of four steaks gets broken down and individually wrapped. Weighing it helps me with recipes so maybe sometimes I need two portions or if a friend is coming over, I just thaw two instead of one. Plus, single serve units thaw faster than a mamajama package. Just because it comes packaged to feed a small army doesn’t mean you have to leave it that way. generous 1/2 cup chopped up onion – I had a pretty small dice. 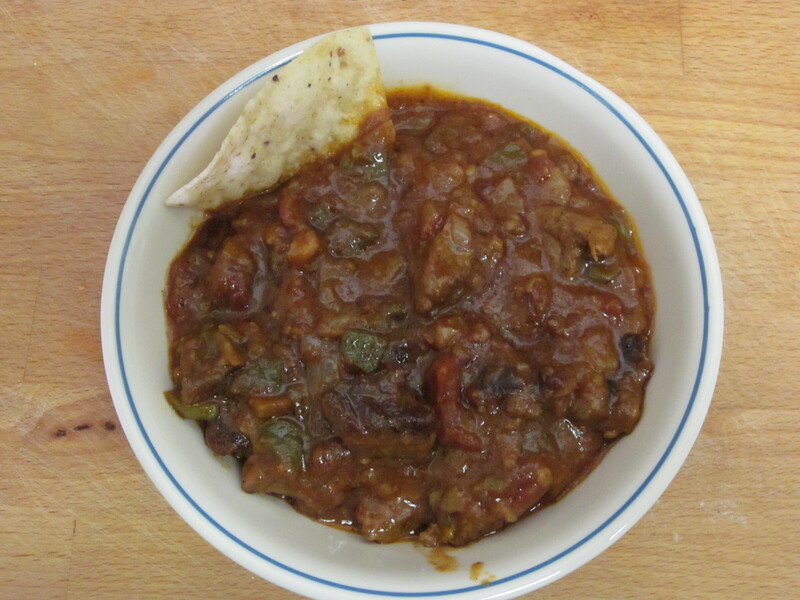 1/4 cup chopped peppers – I used jalapeño and anaheim because that’s what I had. 1/2 tsp ancho chili powder – I’m certain regular chili powder would be just fine. 1. Heat a skillet (that has a lid) and canola oil over med-high heat. 3. Add the onion and let cook for 2 -3 minutes until softened. 4. Add the peppers. Wait 1 – 2 minutes. Add the garlic clove. Wait 1 minute and add tomatoes. Give a stir and let it hang out for a few. 5. Add spices and mix all up. 6. Add the beef broth and tomato paste. Make sure the tomato paste gets mashed up/dissolves into the liquid. Stir. 7. Cover, turn down the heat to low, and let simmer for probably an hour or so. Yes, it is best to start this recipe BEFORE you are actually hungry. Stir it a few times during the hour. 8. Taste your meat after 45 minutes to see if it’s tender enough. Mine needed another 15 minutes, plus the recipe suggests an hour. 9. When your meat is done, mix the flour/masa with the water until there are no lumps left. Add to the pan and stir to combine. This will change the color and consistency of your dish. This is good news. 10. Let it simmer for a few minutes more while you do final meal prep. Serve and enjoy! For me, this made 3 servings of 1/2 cup each. For dinner, I used it as a nacho topping. The following two days for lunch, I put it with refried beans and cheese in corn tortillas for two tacos. Sooo.good. When I make it again, I will likely use less oil. I think 2 tbsp turned out to be a bit excessive – at least for me. Please feel free to add things like potatoes or different peppers if it suits your fancy. You know best what you like to eat. 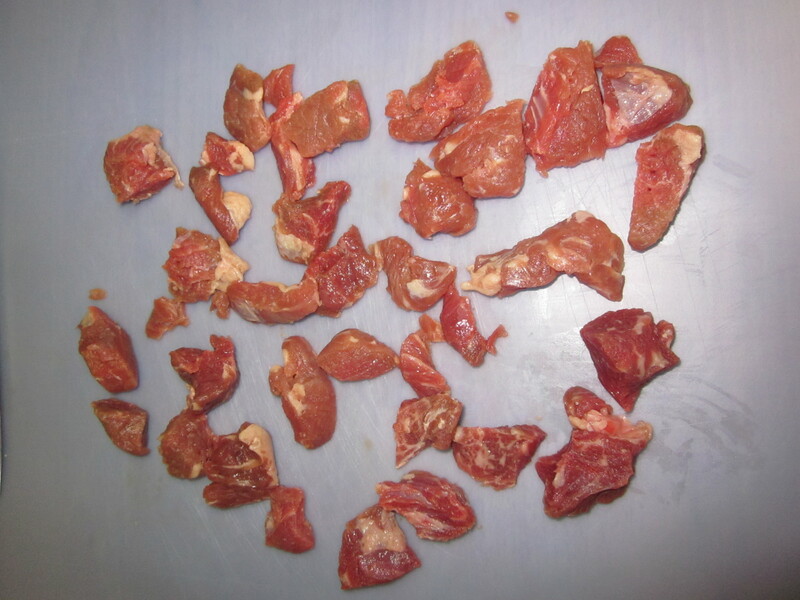 Truthfully, the next time I buy a 1.45 lbs of beef chunks, I may just make the whole lot of it into carne guisada to freeze into individual servings (another good single eats tip!) for lunches or days when I don’t feel like cooking or waiting an hour to eat it. Yes, it is that good. I hope you enjoy! Happy eating! These are tiny peppers from my balcony garden! It took all five to make 1/4 cup. a) i’m surprised you don’t like mushrooms, cilantro lover. 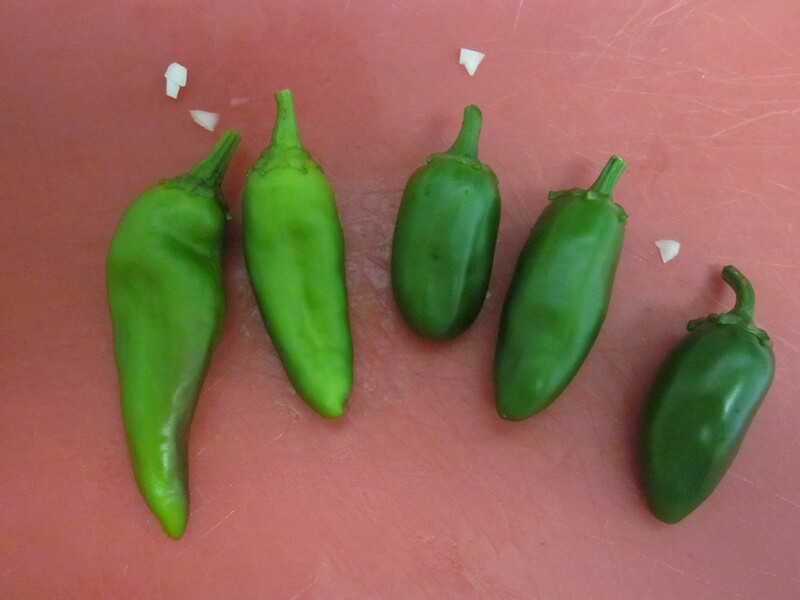 b) your peppers look like they could all be enormous b/c there is nothing to help show perspective. but they look beautiful and i will believe you that they are tiny. A. I’ve never liked mushrooms…I’m surprised you didn’t know that. You will never be served mushrooms at my house. B. Duly noted about perspective, but it seemed to me that if one has seen peppers in the store before, one could look at those and see they were small. My bad. Not a mushroom fan either. Raw, they taste like Styrofoam. Cooked, just a little too slimy for my palette. I can choke them down if I have to, but I try to just avoid them. Sadly, most Mexican restaurants put them in their spinach enchiladas and I love spinach enchiladas.